Vodafone and Deutsche Telekom have completed the first international roaming trial of Narrowband IoT (NB-IoT) technology in a development that could accelerate the development of cross-border IoT services. Roaming is seen as an essential component for licensed mobile IoT networks, with applications such as logistics tracking needing to work in multiple territories. It’s also essential if equipment manufacturers are going to achieve economies of scale with devices like smart metres. NB-IoT is a licensed Low Power Wide Area (LPWA) technology designed for use by mobile operators who want to capture part of the IoT connectivity market. It was argued that without an LPWA standard, the cellular industry would lose out to Wi-Fi, Bluetooth and Sigfox. “The success of these trials is an important milestone in the development of a sustainable roaming environment for Mobile IoT networks, showcasing their capabilities as well as ensuring consistent service across geographical boundaries,” said Alex Sinclair, Chief Technology Officer, GSMA. For this particular trial, Deutsche Telekom used global SIMs on the Vodafone Spain network, while Vodafone did the same on the T-Mobile Austria network. The use cases included Power Saving Mode (PSM), Long Periodic Tracking Area Update (TAU) and various throughput and round-trip-time measurements. “This development shows the successful evolution of the technology and I am confident that it will lead to a raft of new applications for NB-IoT, such as the cold chain monitoring of goods across borders,” declared Vodafone director of IoT Stefano Gastaut. 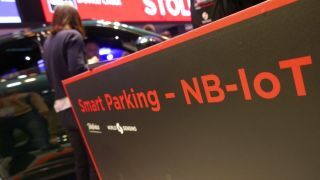 The GSMA claims there are now 48 mobile IoT networks (both NB-IoT and LTE-M) from 24 mobile operators, and expects the 3GPP to include both standards in Release 15 of 5G later this year.